Closed Mondays, Dec.28-Jan.4, and Jan.9. 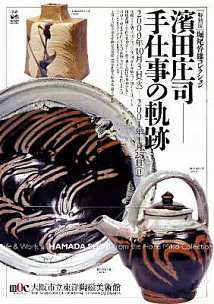 The Museum of Oriental Ceramics, Osaka, Yomiuri Newspaper, and Yomiuri Telecasting Corporation. 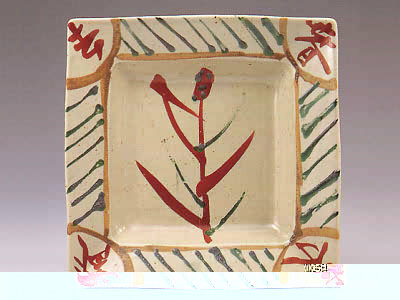 HAMADA Shoji (1894-1978), was the most well-known folk art ceramist of the 20th century. He studied under ITAYA Hazan and began a lifelong friendship with KAWAI Kanjiro when he was still in high school. 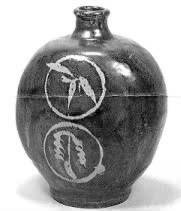 Later on he befriended English potter Bernard Leach and philosopher YANAGI Soetsu; they started the folk art movement (Mingei movement) together. HAMADA established his studio in Mashiko, Tochigi prefecture, and his mingei works have been held in the highest esteem in Japan as well as abroad. Hamada was designated a Living National Treasure in 1955. More than 200 pieces by HAMADA from the private collection of Kobe resident HORIO Mikio have been donated to the Museum of Oriental Ceramics, Osaka. Horio's collection forms the bulk of this exhibition. In addtion, works by LEACH, KAWAI, SERIZAWA Keisuke, MUNAKATA Shiko, and KURODA Tatsuaki are exhibited. Access: Five minute walk from Yodoya-bashi station on the Midosuji subway or Keihan-line. Or a five minute walk from Kitahama station on the Sakaisuji subway or Keihan-line. What is Mingei? 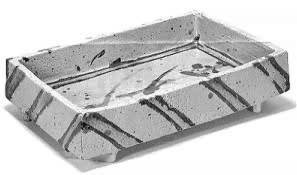 What is Mashiko Ware?